We at Jameson School are pleased to be able to offer our students, staff and guests access to learning technology, including access to the Internet and certain online services, as we believe that technology is engaging for our learners and that engaged learners accomplish more. We envision a learning environment where technology is a part of us, not apart from us. Our intent is to enhance our learning with technology, creating a seamless fit between the inventory of learning technology we are building and the curriculum we are constantly fine tuning. We believe that the tremendous value of technology as an educational resource far outweighs the potential risks. We will leverage existing and emerging technology, as far as our budget and our local area network will allow, as a means to learn and thrive in the 21st Century. We feel that access to Internet tools and resources and an understanding of when and how these tools are appropriately and effectively used are imperative in each student’s education. We have been working hard, with the support of our wonderful PTO and a few individual donors and frugal use of our school budget, to build an inventory of MacBooks and iPads to support our learning. We are proud of our technology lab which each classroom uses at least once each week and of the 20 iPad Minis that are now available for student use through our library. Our vision is to have a classroom set of iPads for each of our grade levels, K-3, but that is a work in progress. In an effort to maximize the potential for technology enhanced student learning, we are piloting a BYOD (Bring Your Own Device) program in Mrs. Fletcher's and Mr. C's classroom beginning in January. Those families able to support their student with a device from home will be asked to do so, allowing the devices we have to be shared with those students who do not have a device of their own. In this way the entire class would have all day access to a learning technology device, preferably an iPad, and Mrs. Fletcher and Mr. C would plan for learning to be enhanced by this use of technology. We work for our students at Jameson School. Our very purpose is to provide a safe and happy learning environment in which all of our students may be successful. This work is a practice and, therefore, we are always looking for ways to improve this practice. Know that we are a staff who wants to always do better and because of this our philosophy is "to build the plane as we fly it", in an effort help our students achieve more. With this in mind, we are hoping that you will join us in this pilot effort as we know that together we can do more for the benefit of our students and their learning. We are planning a What Will This Look Like session for Monday, January 6th from 4-6pm in Room 8 here at Jameson. Please do join us if at all possible and know that there will be many more chances for us to think and learn together around this endeavor as the project grows. #ItsAllCoolAtJamesonSchool! "Room 8 - Day in the Life of BYOD"
- Participate in workshops (both at school & online) to help you understand how to use devices & support student learning (Monday, January 6th, 4-6pm is first session). - Engage & collaborate in discussion with our new classroom Facebook page. We want to make your experience comfortable! - Help us explore the appropriate role and use of personal technology devices in and out of the school environment. Click here for Master List of Apps with links for download, connections to Blooms, and resources for parents! 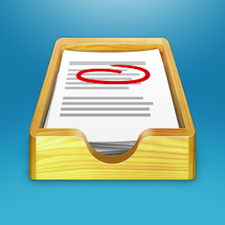 Showbie - This app will serve as our "work flow" area where students will submit some of their work digitally. Showbie will allow us to distribute assignments, instructions, and resources to the kiddos. In turn, they'll be able to demonstrate their understanding and submit their work on their iPad and turn into us. We'll be able to store their work digitally and even add their best pieces to their digital portfolio on Google Drive. Google Drive - We'll be using the drive to create digital portfolios of your kiddos best work. From work examples created on apps such as Book Creator, Toontastic, or Educreations, you'll have 24-7 access to their own Google Drive folder that we've already shared with you. There will be videos, pictures, and examples of their best work. Educreations - Educreations transforms our iPads into a recordable whiteboard that captures our kid's voice and handwriting to produce amazing video lessons that you can share online. It's as simple as touching, tapping and talking. We'll use this program and the kids will share their work onto the Showbie app. We love that the kids can explain their learning through the voice record option. Check this cool review out that details some of the features. Raz Kids - 1:1 will enhance our already in place online reading program! Giving our students access to reading digital books at school & at home will provide and engaging platform to motivate readers. We’re looking for ways to improve what is already in place, and this is a terrific opportunity to do just that with more frequency. Handwriting Without Tears - We are already using this paper program. Using the app will motivate and engage our students and also allow us to collect digital data on their progress. We will use this program at school and home. 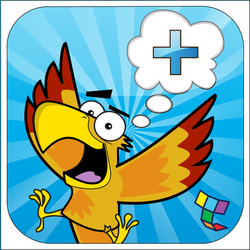 Toontastic is an amazing application that allows students to let their creative juices flow to create a story. 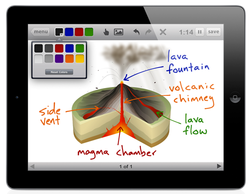 It empowers students to create animations, draw scenes and settings, while using their imaginations. Watching our students actually becoming the characters as they record the scenes is amazing! Students will learn about parts of a story - setup, conflict, challenge, climax, and resolution. A pen and paper allows the students to create a classic comic, however, the animation piece is lacking. In comes Toontastic to save the day! See more of some former students in action! Book Creator - Students will be able to create their own books with this app and share their books on our YouTube channel! Awesome! They'll also save their pieces to the Google Drive portfolio for you to check out. This video brings the idea to life! 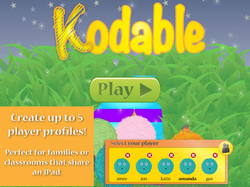 Kodable - This app is designed to teach young kiddos to code! Yes, thats right, your kids will be coding! They'll be doing this on the very basic level to understand the logic and concept behind coding. This will lead to more advanced coding down the road. Why learn coding? We live in a world where more and more computer technology jobs are available and, in the future, this may be a very valuable skill set requirement for a job. Read this review to learn more. Addimals - This will be a terrific app to help our kiddos learn single digit addition! The app teaches various strategies for learning to add and provides practice for each skill. 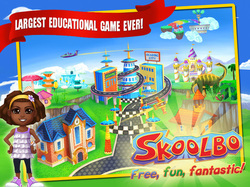 SkoolBo - This Core Skills focused game is the world’s largest free educational game. Skoolbo is a literacy and numeracy program with more than 60,000 questions designed to assist 4 to 10 year olds in their journey to mastery of essential reading and mathematics skills. Children enjoy fantastic 3D worlds, amazing fun, and multiplayer races! Its an extremely engaging way to learn foundational reading and mathematical skills kindergarten students need to be successful. Classroom DoJo for Students - This awesome classroom management tool will be used to support our PBIS initiatives. Our students will have the chance to earn “dojo points” for good behavior. Mr. C has used this in the lab with his kids and seen great success in motivating students to follow classroom expectations and procedures. This will integrate nicely with math lessons as we collect points. YouTube Capture - We'll be capturing some of our best moments and hard work with YouTube Capture. The kiddos will learn to record videos to demonstrate their learning. Each week, we'll send home a QR code with a video of your child. They may be explaining an important concept, reading a book, or an actual cartoon made with Toontastic. Each week, it will be different. You can check out our "Jameson Kinderdstars" YouTube channel anytime and see all the videos!